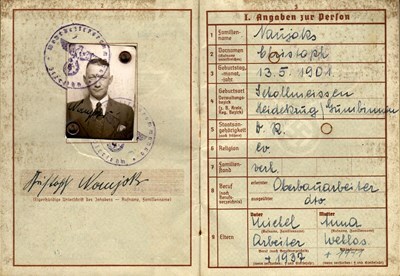 54-paged military ID issued in 1940 to a 38 year old with entries up to 1944. The ID indicates the holder as being from Iserlohn and working in the construction industry. Unfortunately, while the ID holder's photo is attached to the page, there is a tear from its bottom reaching as far as the signature line. 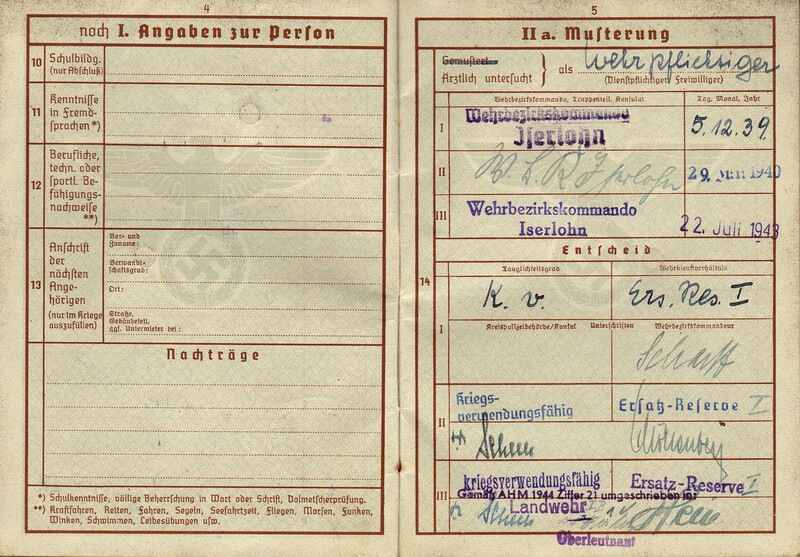 Page 5 indicates his being called up on 05 December 1939, 29 June 1940 and 22 July 1943 into the Ersatz-Reserve. 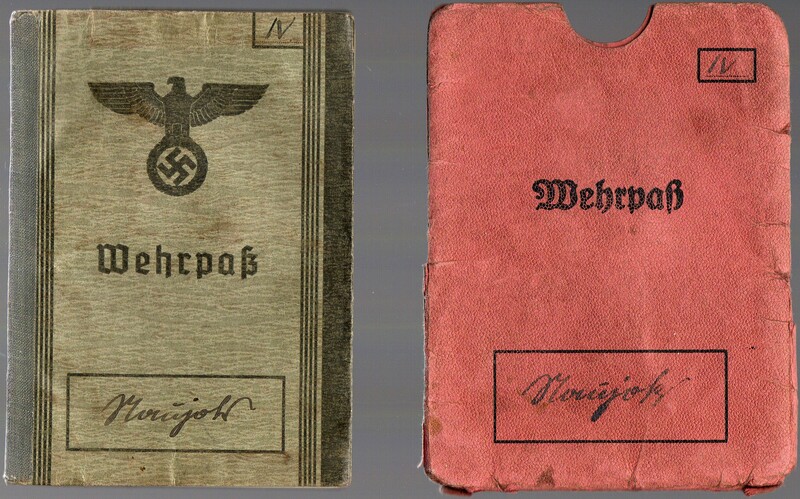 There is also a pass cover, which is, unfortunately, torn on the sides. 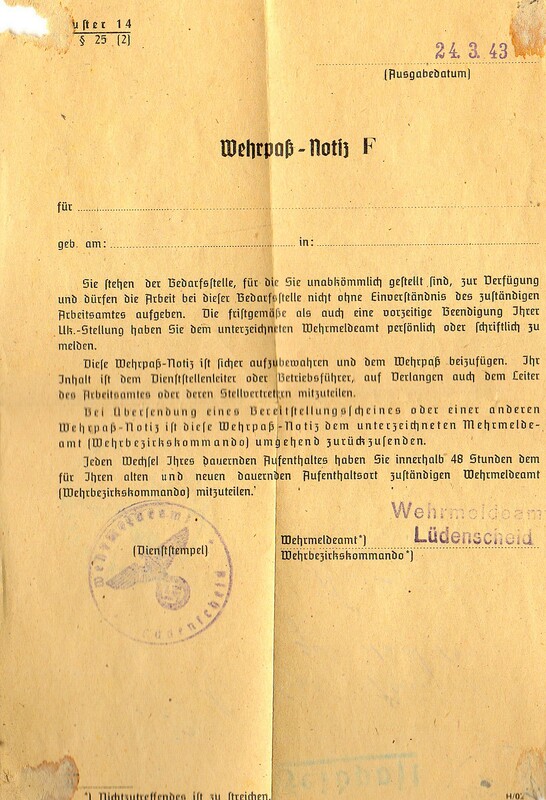 There is also a Wehrpass-Notiz F from 24 March 1943 included. 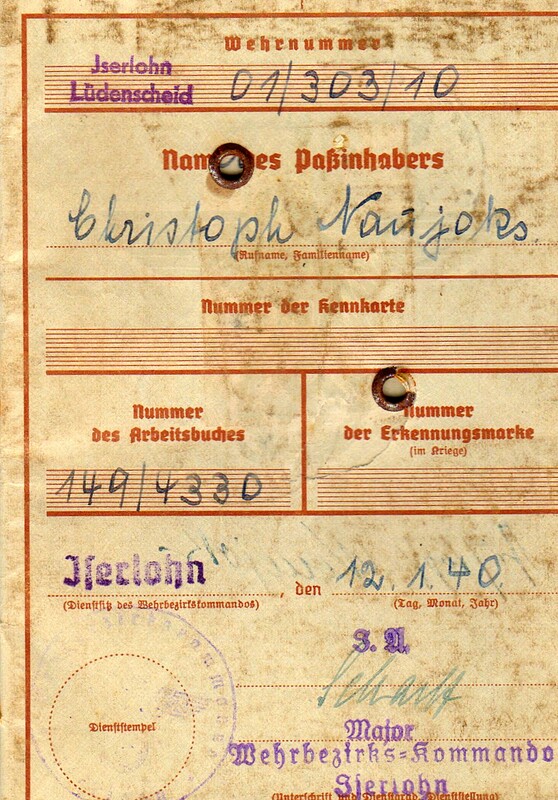 There are entries and stamps on 4 of the pages and the page holding the passport photo has a tear under the picture (which does not extend into the picture).